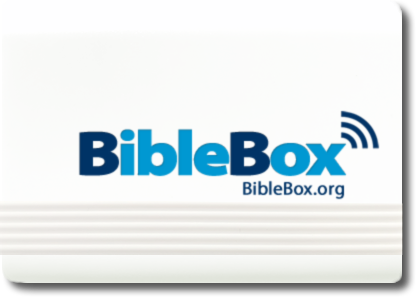 If the BibleBox isn’t the platform you’re looking for to deliver courses, resources, Bibles and Bible training then check out some of these other devices which can be used to wirelessly share resources to mobile devices. If your device is listed and my description is out of date or needs changing just let me know. 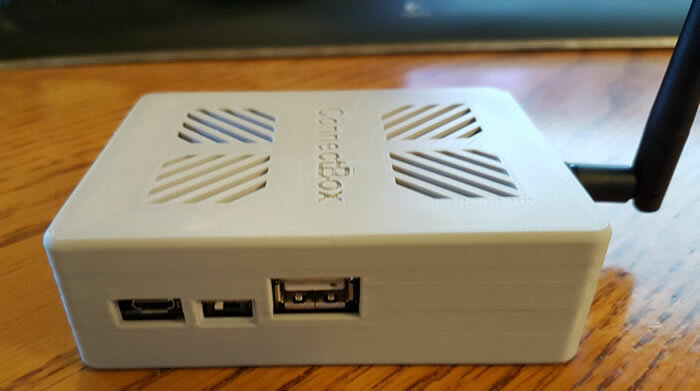 ConnectBox are self-contained, self-powered, WiFi based portable media distribution system. It allows users to create a full featured ‘digital library’ from which media (text, video, audio, applications) can be shared on mobile phones, tablets, laptops, desktops in an off-the-grid environment without depending on access to the internet or electricity. Any device with WiFi capability can wirelessly connect to a ConnectBox and access/download content with a simple web browser. ConnectBox will support over 16+ simultaneous 360p video streams/download sessions from different devices. KingdomIT developed its KingdomIT Box to provide access to the Gospel and teaching materials everywhere . The Box is a small computer of the size of a credit card that operates on a battery with solar panel. 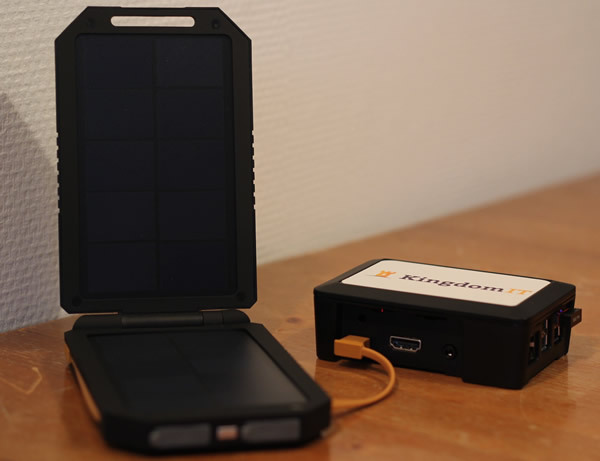 The KingdomIT Box functions anywhere and is not dependent on power grid nor Internet. The KingdomIT Box provides as it were, in a species-specific Internet. Through a smartphone, tablet, laptop or computer, the information on the box KingdomIT be approached with a wifi-connection. The Box has content like the Bible in several languages, Evangelism and/or training materials. Also, the KingdomIT Box can function as a computer. This allows us to quickly set up mobile computer labs with which one can follow e-courses. 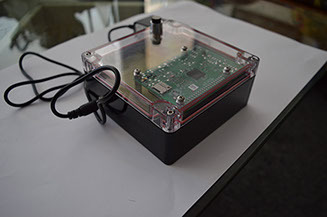 LibraryBox v2.0 is a combination of a router (a variety of hardware will work), USB drive, and software that, when combined, give you a small, low powered webserver. 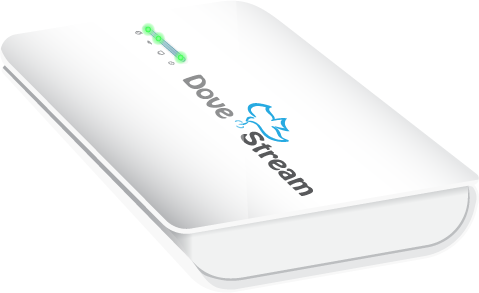 The webserver acts like a captive portal, and delivers files that are stored on the USB drive. 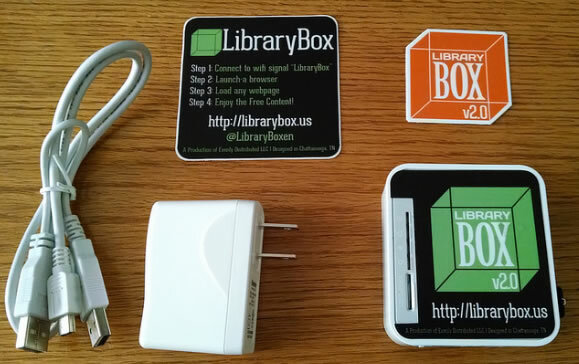 To use LibraryBox, you simply connect to the wifi SSID “LibraryBox” and launch a browser. Attempting to visit any webpage will push you to the LibraryBox homepage on the device, which has information about the project, and links on the menu for downloads. You can browse the contents of the Shared folder, and download any files you’d like. The device you are using does have to be able to understand the download (for instance, downloading an EPUB ebook to a Kindle won’t really work). 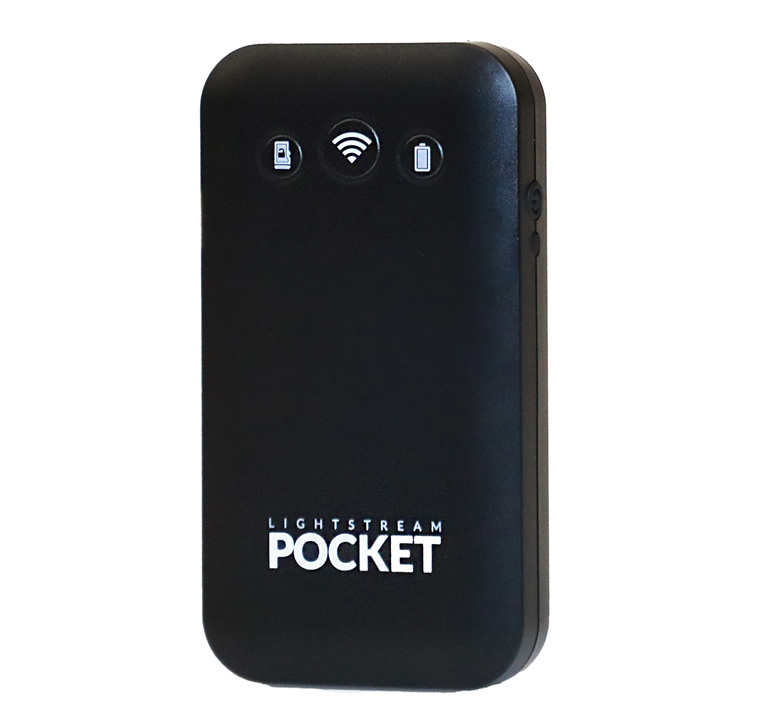 Power on the LightStream Pocket and any nearby cell phone can connect to the WiFi hotspot and browse through the “netflix-like” user interface to select and download or stream the Christian media stored on the device. Put a microSD card in the microSD slot, and the LightStream Pocket will quickly copy the media over to the card and optionally lock it if you don’t want the media to ever be removed or deleted. Finally, the LightStream Pocket scans for bluetooth-enabled devices and automatically “pushes” the Christian media files to them. These 3 distribution methods make the LightStream an ideal solution to quickly and efficiently get Bibles and other Christian media to the people you’re trying to reach. 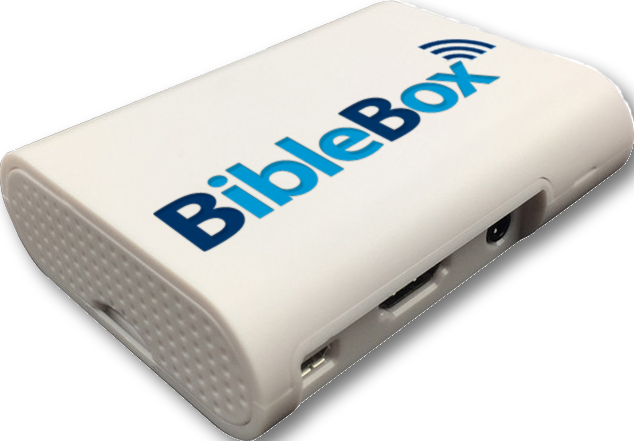 The Pastorbox Project involves the manufacturing and distribution of a highly rugged wireless hotspot that can deliver training to pastors and Christian leaders in remote areas. No Internet or electricity is required, it generates its own signal. Once logged on (with smartphones, tablets computers or any device capable of receiving a wireless signal) the end user can download free church-planting, evangelism and bible-training resources. The Sheep Station is a portable Wi-Fi server which provides anyone with Wi-Fi enabled devices such as mobile phones, tablets or computers access to digital Bibles, educational material, music and any other digital resources made available through its web server and intranet radio station. 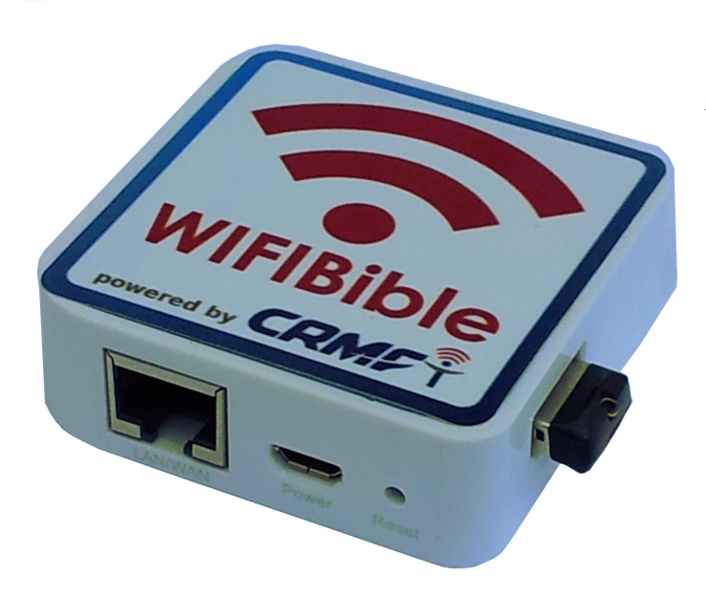 WIFIBible is a device that is distributed by Christian Radio Missionary Fellowship. It is accessed through a WIFI connection and does not need Digicel or BMobile credits to connect to it. The contents are free to access and download.